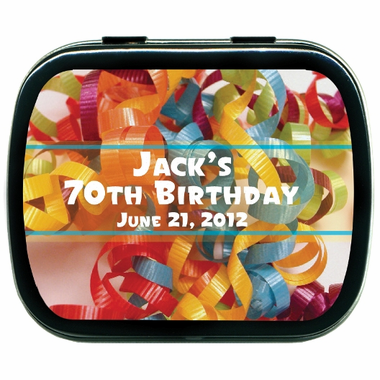 Custom birthday party favors are great for celebrating milestone birthdays like your 30th, 40th, 50th, 60th or any important decade. 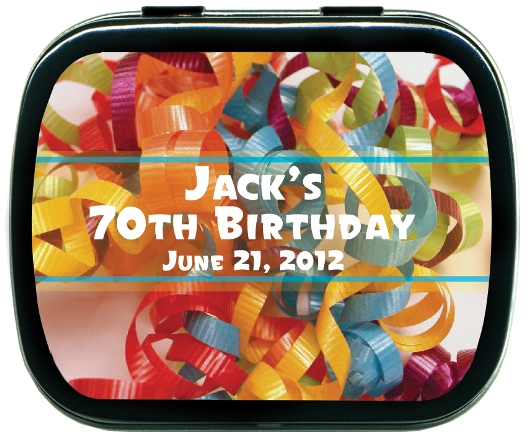 Personalized mint tins make the perfect favor because everyone could use a piece of cool candy throughout the day. 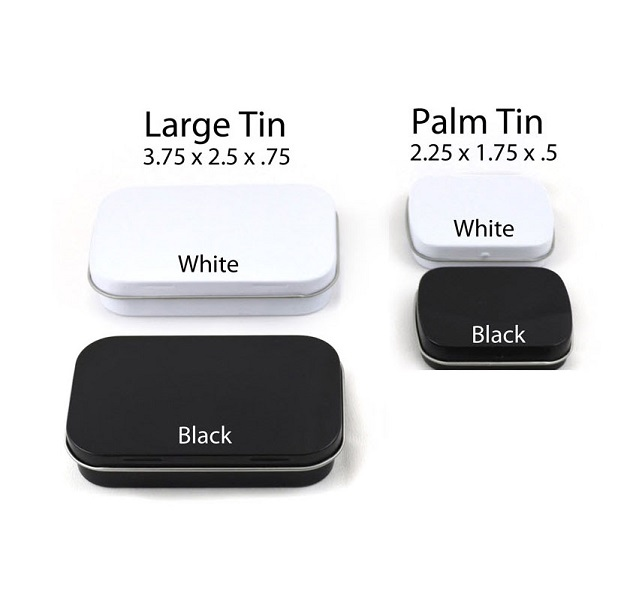 The outside of the tin has colorful ribbons on the personalized label and will look great on a tin in white or black. The inside contains refreshing candy of your choice. 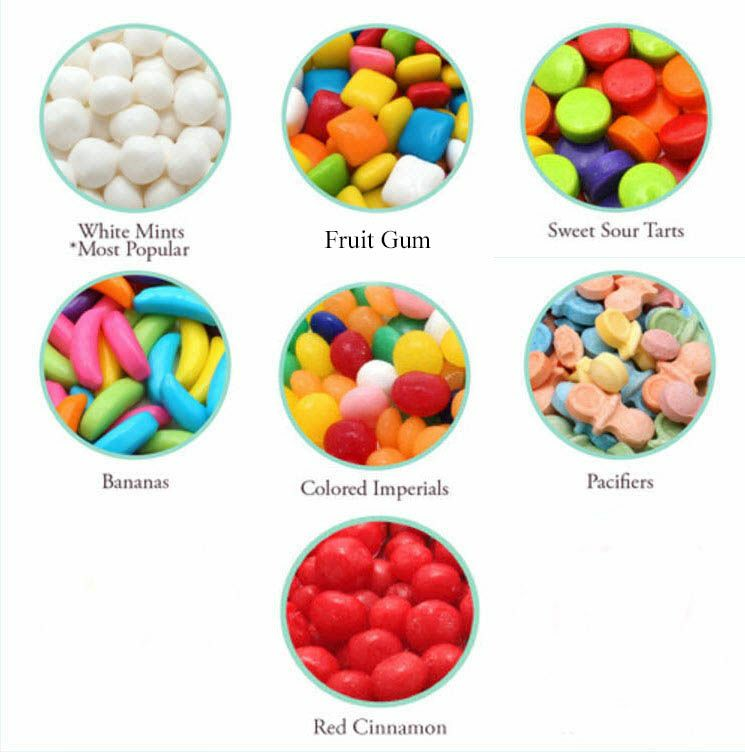 These personalized favors would be perfect as kids birthday party favoras, teenager birthday parties favor or even adult birthday favors!